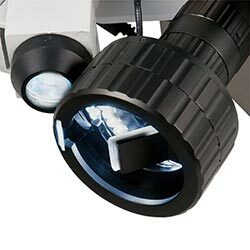 The mechanical 3D-microscope works with both, transmitted or reflected light and by that allows creating a three-dimensional representation of the objects. That mechanical 3D-microscope helps getting a view from all sides of the object that is to test, due to a mirror that can be mechanically rotated in a 360° radius. 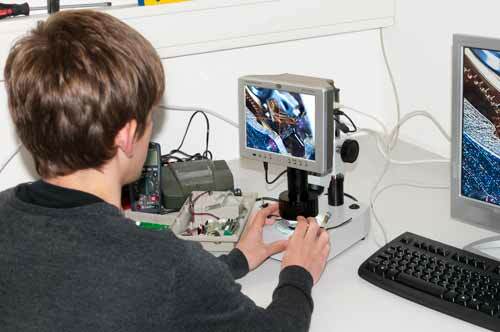 With that mechanical 3D-microscope you can get details, which could be easily missed with common microscopes. In many applications your work is made much easier. 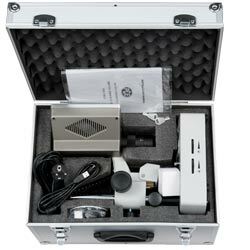 This mechanical 3D-microscope is ideal for an application in laboratories, schools, the industry and many other professional areas. 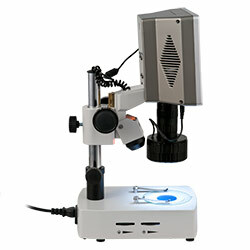 The mechanical 3D-microscope is compact, very solid and easy to navigate. 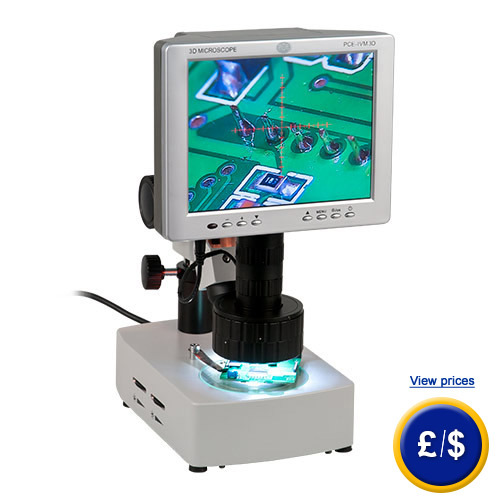 This mechanical 3D-microscope has a large working distance of 175 mm. Thus the analysis of even larger objects is very simplified. 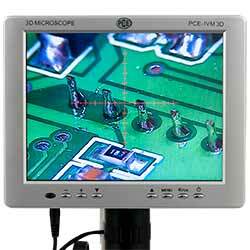 Our 3D-microscope provides a three-dimensional image of objects on a LC display. 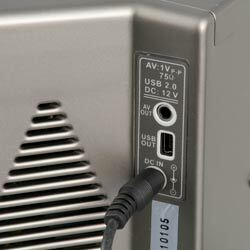 The images shown on the LC display can also be transferred to a computer via its USB interface and there they can be further edited (therefore a special software is required, which is not included in delivery and must be purchased separately). The mechanical 3D-microscope provides an 18 ... 93-fold magnification and therefore can be used to control and to work on electronic construction parts, circuit boards, jewelry and many more. If there are any questions about this mechanical 3D-microscope PCE-IVM 3D, please have a look at the technical specification below or call: UK customers +44(0) 23 809 870 30 / US customers +1-410-387-7703.. Our engineers and technicians will gladly advise you regarding the microscopes or any other products in terms of regulation and control, or scales and balances of PCE Instruments.